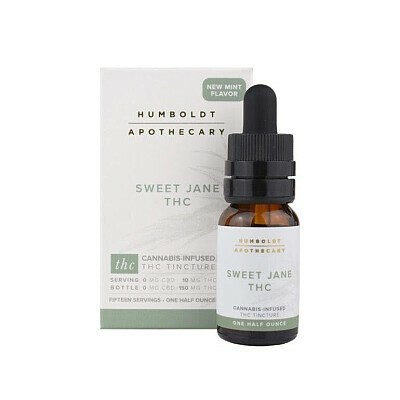 150mg THC SWEET JANE THC Supports relief of minor pain, minor inflammation, stressful feelings, and occasional nausea. Promotes appetite stimulation and restful sleep. INGREDIENTS Coconut MCT Oil, Cannabis Extract, Vitamin E, Organic Stevia, Organic Peppermint Essential Oil. Contains Coconut and non-GMO Soy. DOSING | WHERE TO PURCHASE | LEARN SUGGESTED USE Shake well, place under the tongue or use in juice, water, or tea. For those that are new to Cannabis, start with half of a serving and increase to a full serving as desired. The effects of this product may be delayed up to two hours.